Sustained User Adoption is vital to ensure people using SharePoint remain productive and proactive. Pro-activity is key, since the reliance on SharePoint support will grow based – success breeds success; on solving user queries, meeting and solving business information and collaborative challenges using SharePoint, delivering solutions. 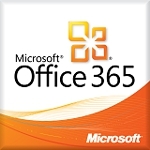 A significant number of queries will come from the use of Microsoft Office with SharePoint. Particularly since virtually all interaction with content in SharePoint will come from the use of Microsoft Products such as Word, Excel, PowerPoint, Outlook, and even moving beyond into the lands of Project, Visio, OneNote (the list continues). If you want sustainable User Adoption, amongst other techniques, focus on the information workers core toolset – Microsoft Office. For information workers to remain SharePoint productive, to make them more empowered, to give them a sense of achievement, you should consider informing and evangelizing to them the Microsoft Office Specialist certification, of which SharePoint is part. By workers doing this course, benefits include aiding SharePoint Service Delivery. This is because the worker becomes more capable, and this capability extends again to their peers. This aids SharePoint support, because then you have a line of defense in terms of resolving Microsoft Office queries. 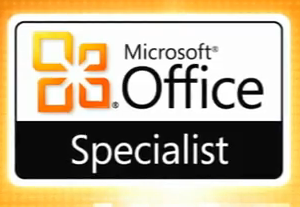 And note, virtally importance is the addition of SharePoint as part of the Microsoft Office Certification. Yes, workers can become SharePoint Office Certified. 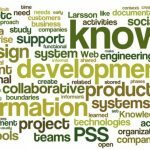 This means that they have the ability not only to learn the product, but also to add this onto their skillset as valid proof that they can use, and pass on their skills of using SharePoint because they have achieved. And if you don’t believe how important this is, see the following clip which gives you ample reason why this certification is so important.